This supplement is now specially formulated for dogs and works as an internal cleanser and healer for your pet. 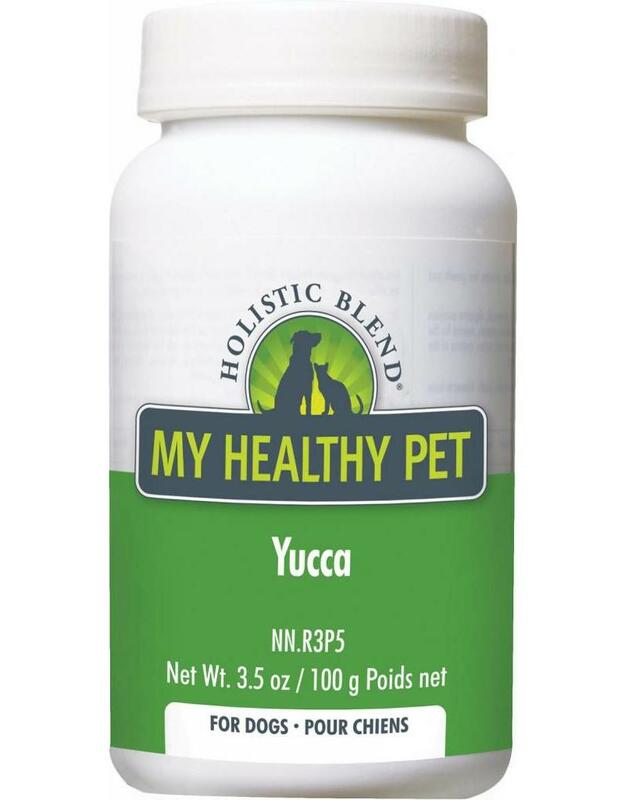 With just yucca schidigera, peppermint and anise as the only ingredients, this supplement is 100% natural and safe for your furry friend. Yucca schidigera is known to be effective for hip dysplasia, arthritis, bone and joint problems and inflammation. It can also help reduce pain and increase mobility by boosting production of the body’s own natural steroids and works to naturally detoxify the liver, keeping your pet healthy. Ingredients: Yucca Schidigera, Peppermint, Anise.